Artist Matthew Barney talks with Molly Nesbit, Professor of Art, Vassar College, about his latest project, Redoubt, which comprises a feature-length film, sculptures, and other media that create a complex portrait of the American landscape. The conversation will be moderated by Pamela Franks, Class of 1956 Director, the Williams College Museum of Art, and curator of the exhibition Matthew Barney: Redoubt, on view at the Yale University Art Gallery, in New Haven, Connecticut, through June 16. A book signing follows the program. Cosponsored by the Yale University Art Gallery and made possible in part by their Hayden Visiting Artists Fund. $15; $10 for members & students with a valid ID. 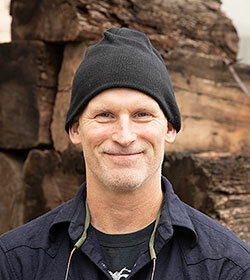 Image Caption: Matthew Barney. Photography by Jessica Smolinski, Yale University Art Gallery.